Diptyque Santal Perfume by Diptyque, Part of Diptyque’s home fragrance collection, Diptyque Santal Perfume is a warm and cozy scent . Fall in love with your surroundings when they’re filled with this pleasing sandalwood fragrance. The warm and woody aroma is relaxing and calming. This candle will fill your home or office with its alluring and refreshing scent. This candle is designed to be long-lasting and will burn for up to 60 hours. Add instant mystique to your space and drift off into Read More Read More relaxation after the aroma permeates your room. 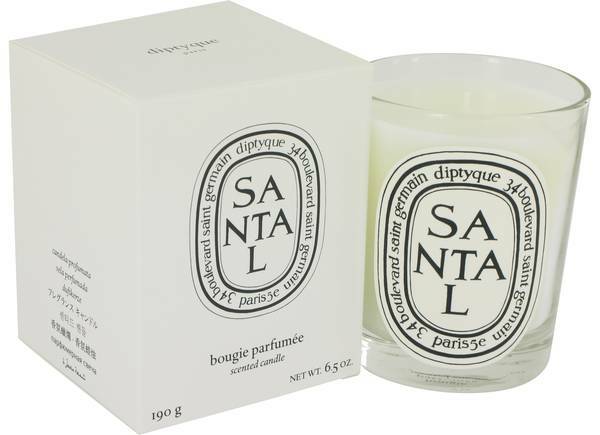 Diptyque is an internationally-recognized creator of home fragrances, candles and body care. The brand began as a storefront bazaar in 1961 in Paris as a collaboration between an interior designer, a painter, and a theater director and set designer. The trio sold fabrics, wallpaper and other unique and interesting articles. Today, the brand is most known for its collections of rich fragrances, candles and body care All products are original, authentic name brands. We do not sell knockoffs or imitations.